Today’s topic is something that is affecting places all over the world. It is extreme weather. No matter which country you live in, recently extreme weather has become increasingly dangerous and common. There are a few instances I will talk about. I will talk about the heat waves in the US and Japan, the polar ice caps melting, and forest fires in California. There are many other phenomena happening, but it would take a long time to talk about them all. First, there have been extreme heat waves all over he globe this summer, especially we have felt it in Tokyo. My hometown also went through a heatwave. Because it is so hot, many people have gotten heat stroke in Japan. I feel like some of these situations could have been prevented though. Many of the deaths are elderly people and a lot of them are simply not using air conditioning. In this kind of heat, air conditioning is a necessity. The heat has been insane in Tokyo, reaching over 40 degrees in some areas. My hometown has also seen pretty high temperatures and in places like Arizona, it has gotten up to 49 degrees. This is extremely abnormal. The heat is also causing the polar ice caps in the north and south to melt, which is shrinking the habitats of some animals, such as the polar bear. This has been causing the polar bears to come farther south and search for food. The only problem is that people live in these areas. The amount of polar bear attacks has reasons recently, because the bears are starving because their home has been melted. They are now becoming more aggressive towards people, because they are desperate for food. This is also causing a big problem in small villages in the north of Europe. The last instance of extreme weather that has been in the news recently is the raging forest fires in California. Thousands of acres have been destroyed along with many homes. Lives have also been lost. Forest fires can move very quickly and their direction changes with the wind, so once they get big, it is hard to control them. This means that thousands of plants and animals will die, along with many people. The fires engulf homes within a matter of minutes, so if you don’t evacuate early, you will be at a very high risk for losing your life. All of these extreme weather patterns are related to global warming in some way. The earth is getting hotter and hotter, and it is becoming increasingly difficult to survive. 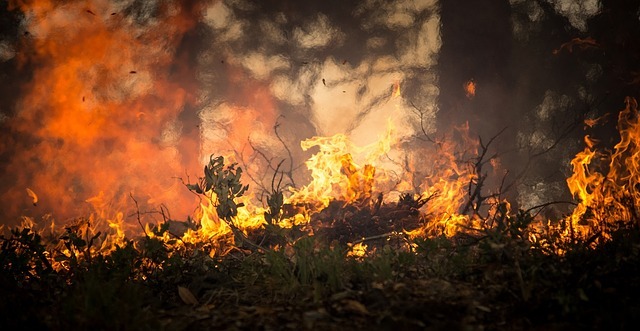 With more heat comes less rain in some cases, which makes it easy for fires to break out in the dry forests. Something needs to change in the way we are using our planet. Global warming was caused by humans and can be slowed down and hopefully one day stopped by humans. However, we first must make an effort to change.